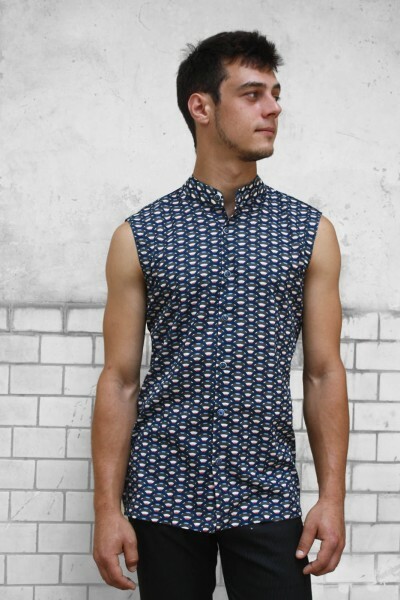 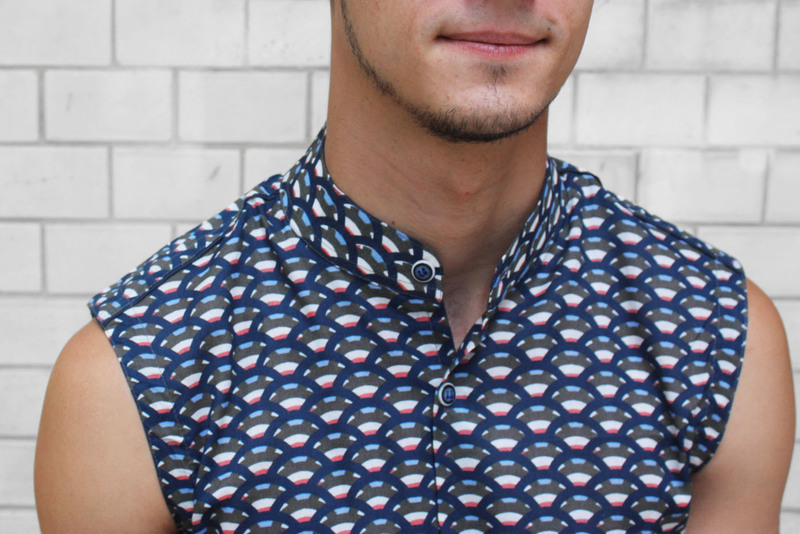 Sleeveless button down shirt, for men, mandarin collar. 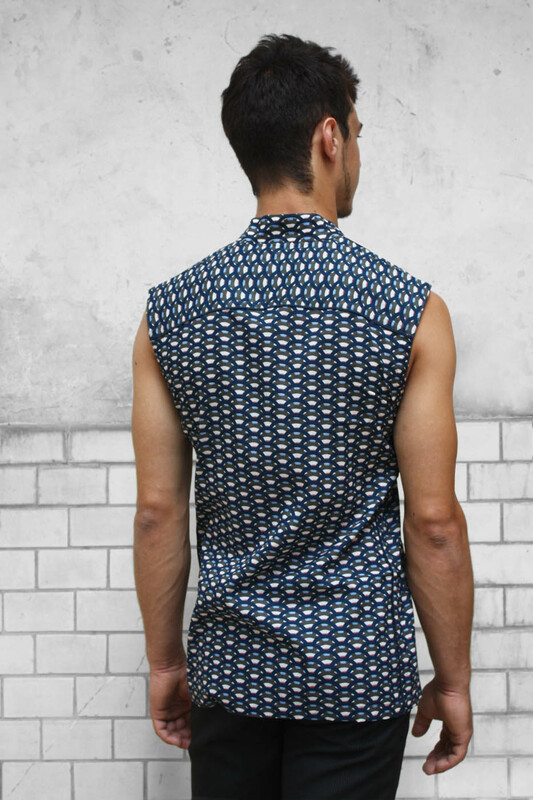 Shirt made out of light cotton cambric, with marine blue geometric scale pattern. 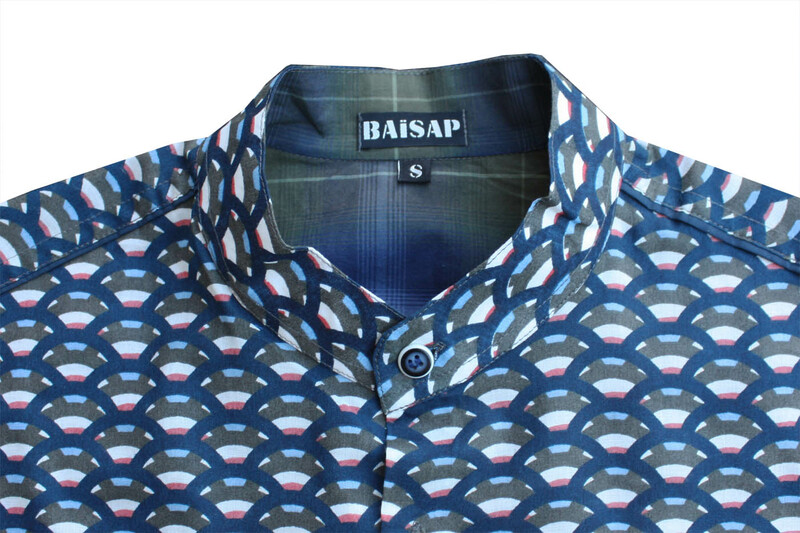 Coordinated checks on armhole facing, sleeve and collar lining.